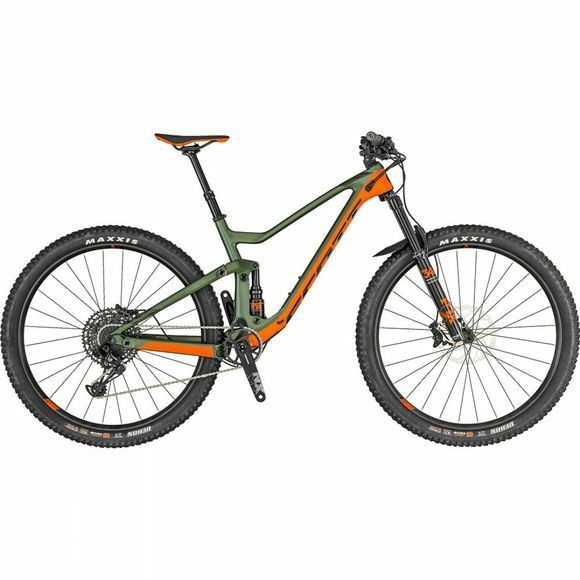 The Genius 930 2019 from Scott is a enduro mountain bike that will constantly impress all with its versatility and durability. The Genius 930 features TwinLoc Suspension Technology to always optimize your ride, a Sram Eagle drivetrain and Syncros components. Scott's Virtual Four Link design allows for a honed suspension feel, pedalling and braking response to work with maximum efficiency in harmony with the TwinLoc Suspension System. Thanks to supple small bump sensitivity, the kinematic suspension curve creates exceptional traction characteristics, perfect support in the mid-stroke and a controlled deep stroke for predictable and comfortable bottom outs. The Genius Alloy SL Frame fits both 27.5" and 29" wheels and changing between them is as easy as the flip of a chip, so by buying the Genius 930 and a set of 27.5" wheels you basically have two different bikes. Big volume tyres further improve grip and traction so you can face even the worst terrains. Scott's Genius trail geometry is tested and balanced to make sure it is as efficient at climbing as it is at descending. Grab your bike, and get on the trail. 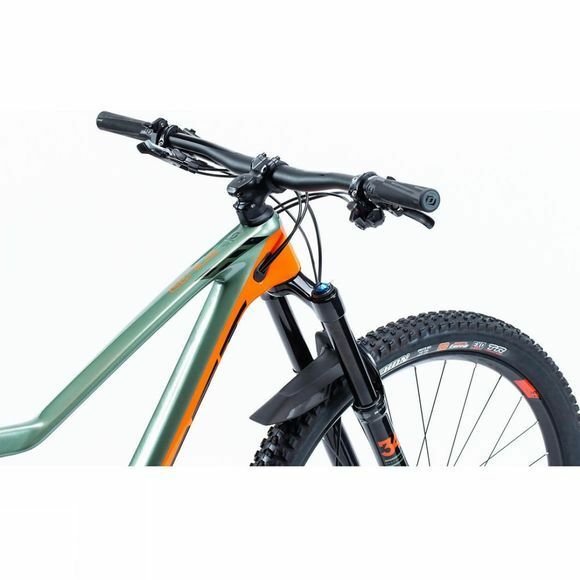 Stem–Syncros FL1.5 / Alloy 2014, integrated Spacer & Top Cup / 31.8mm / 6° / 1 1/8"